M P Pandit (Madhav Pundalik Pandit) was born in 1918 in Sirsi, Karnataka and joined the Sri Aurobindo Ashram in 1939 after graduating from the University of Bombay. From his earliest days in the Ashram, he served as personal secretary to The Mother, who became the entire focus of his life. 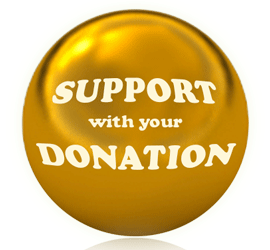 With encouragement from The Mother, Sri Pandit served as Chairman of World Union International and edited its journal, in addition to The Advent and his own monthly Service Letter. His writing career spanned six decades, publishing over one hundred fifty books and innumerable prized reviews in the leading Indian journals of the day. The scope of his interests was immense, extending from a basis in spirituality into fields as diverse as polity, psychology, science, religion and more. 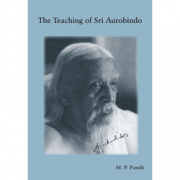 Sri Pandit’s books possess a global appeal and have made Sri Aurobindo’s Yoga accessible to a larger public. After the Mother’s passing in 1973, he responded to earnest calls from around the world and travelled extensively both in India and the West, leaving gratitude in his wake and strengthening the spiritual aspirations of all who met him. 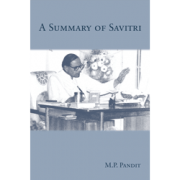 Fusing the ancient with the modern and life with spirituality, Sri Pandit was a symbol of synthesis. After finishing this Vedic study I had no idea what to do with it. Fortunately, through a personal friend I came into contact with M P Pandit, the secretary of the Sri Aurobindo Ashram. 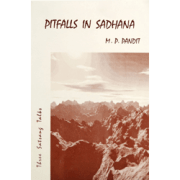 I had long admired Pandit’s many books on the Vedas, Tantra, Sri Aurobindo and the Mother. 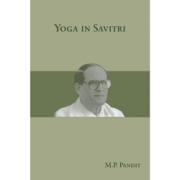 M P Pandit was perhaps the foremost scholar of Indian spirituality, not from an academic view but from a real understanding and inner experience that spanned the entire tradition. If anyone could appreciate what I was doing, it was he. I first visited M P Pandit in San Francisco in the summer of 1979. I brought my writings on the Vedas and Upanishads and explained my approach to him. What I received from him in return went far beyond my expectations. 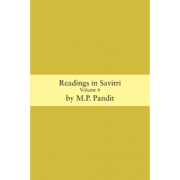 M P Pandit was a calm and concentrated person, with a penetrating vision. He listened carefully before making any comments. Instead of trying to influence me he was quite receptive and open to what I was attempting. I told him that I was not an academic but doing the work from an inner motivation and an intuitive view. He said that it was better that I was not an academic because I would not repeat their same old mistakes and could gain a fresh view of the subject. M P Pandit strongly encouraged me to continue my work, offering his full support. He called my Vedic work my “Divine mission,” that I should follow out. He said both to my surprise and my honor that he would get my writings published in India. This greatly increased my enthusiasm in what I was doing, which up to that point appeared to be some obscure personal study, perhaps relevant to no one. He asked me to mail him some of my writings in India as he would be returning to India in a few months. Over the next few months I wrote a new book on the Rig Veda called Self-realization and the Super mind in the Rig Veda and sent it to him. The manuscript was over five hundred pages long and consisted of translations and interpretations of many different Suktas, particularly those to Indra. I had worked on it day and night during that period. 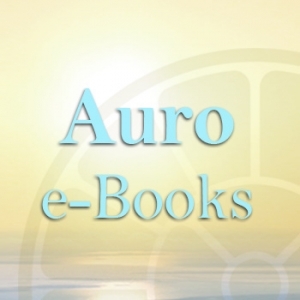 He serialized the book first in World Union and later in the Advent, major Sri Aurobindo Ashram journals from 1980-1984. Later I sent M P Pandit various chapters of the Shukla Yajur Veda, which I similarly translated and interpreted in a spiritual (adhyatmic) light. 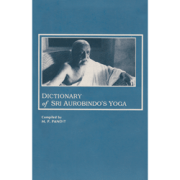 This he had serialized in Sri Aurobindo’s Action. M P Pandit also got my book Creative Vision of the Early Upanishads published in India. His help was crucial in establishing my work as a writer in the Vedic field, without which it would have been probably consigned to my desk.Along with M P Pandit came the additional gift of the grace of the Mother of the Sri Aurobindo Ashram. After contacting M P Pandit I could also feel the Mother’s energy and presence around me. She was close by and would quickly appear to my inner vision, guiding me in various ways. Even today I can feel her nearby my consciousness whenever I think of her. This was not something I cultivated but came of its own accord. M.P. PANDIT IS NO MORE. He passed away on Sunday, 14th March 1993, at Appollo Hospital, Madras, after a serious ailment. Twenty-four hours later, his body was cremated at the Karuvadikuppam crematorium, Pondicherry. While it is true that none of us would be able to see Panditji in flesh and blood, it is not untrue to say that he would continue to live in our hearts. What did Panditji do to hold such pride of place in the hearts of millions? Sounds quizzical but the answer is quite simple. He wrote. He wrote his way into the hearts of millions round the globe. He wrote about “Life Beautiful”. He told others “How did I begin” and “How did I Proceed?” and thereby paved the way for others interested in making their living on Planet Earth peaceful. In these turbulent times he fought for a World Union. He gave a clarion call to Human Unity. Through his Sat-sangs he aroused the spirit in every listener to aspire for a Life Di­vine. Through his 150 and odd books, written in his 75 years of sojourn on earth, he struggled not in vain to teach the perfect “Art of Living”. Since he rarely preached or wrote what he didn’t follow, this Universal Man, an immortal in the world of letters, is bound to live in the hearts of his readers and fans who are innumer­able like the lively essays he wrote about life for several periodicals. His understanding of human relationship, or true love and life beautiful is par excellence and any book of his will stand ample testimony to this fact. 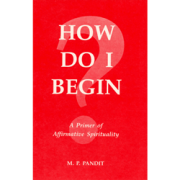 Once I asked him, “What can you and I do to create a completely different society?” Panditji’s answer was: “The change must start with the individual and spread out to like­minded sections. The key is with the individual.” As an individual thinker. 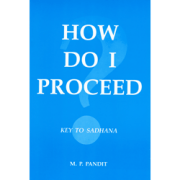 Panditji had the key that made it possible for everyone who believed in him, to be completely at peace within oneself and in one’s relationships with others. Hailed by his disciples as “a polymath, a confluence of diverse cul­tures, an authentic exponent of the Integral Yoga of Sri Aurobindo and the Mother, and a universal man.” Sri Madhav Pundalik Pandit was born on June 14, 1918 in Sirsi, North Canara, in a family closely associated with great spiritual personages. When he was hardly thirteen Vashishtha Gana­pati Muni, also known as Nayana, who was an associate of Ramana Maharshi of Tiruvannamalai, has sensed the spiritual light in the “nice boy” (in Mother’s words). He then commended him to Sri T.V. Kapali Sastriar. Young Madhav who was keen on taking on spiritual life, gained valuable experience and train­ing under his mentor’s tutelage. A graduate in Arts, a university rank holder in Law, Sri M.P. Pandit met the Mother of Sri Aurobindo Ashram in 1939 and surrendered to her only to identify himself, as she had done, with the whole of human­ity. 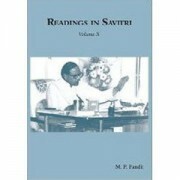 For more than five decades Pan­ditji delivered lectures both in India and abroad, reviewed and wrote on various topics of spiritual interest–­Veda, Upanishads, Gita, Tantra, Man­tra, Philosophy, Psychology, Oc­cultism and the Integral Yoga – in both Indian and foreign periodicals, edited two quarterlies and a monthly – World Union, The Advent and the Service Letter – apart from sparing enough time for visitors who very re­luctantly moved out of his office or residence envying the other visitor eagerly awaiting his turn to get blessed. My acquaintance with Panditji is hardly a dozen years old. I still distinctly remember the day I met him. It was on a Sunday evening. Accompanied by one of my well-wish­ers and a friend of Panditji. I entered Panditji’s bungalow that was already brimming with men and women, both old and young. Sipping at the tasty lotus juice given with kindness by the inmates of the bungalow, we sat on a mat spread on the Door of a big hall, along with others waiting to listen to a Sat-sang speech to be delivered by Panditji. I was a bit curious, for though I had read a few of his works, and re­viewed one of them, I had not met him in Desh and blood. No wonder I betrayed my anxiety to see the scholar and writer. Panditji made his appearance and occupied his chair. While my eyes saw the scholar and writer, my soul saw the sage in him, truly a God-realised person. Spellbound I listened to his talk on ‘Mind Control’. When the talk was over, I looked at my watch. One full hour has gone by, as if in a trice; so fascinating was his talk. When the crowd melted away, I was introduced to him. I managed lo find time, now and again, to visit him. I, for one, do not believe in going to temples. But I love to spend some time in the com­pany of spiritual-minded men who are also pen-wielders. I remember to have disturbed Panditji even at odd hours. He never once said to me, “I have no time for you.” I doubt whether he had said so to anyone. Perhaps that is the reason why he quite often told me that a day consists of twenty-five hours. There were times when I dis­cussed with him not only matters of spiritual interest but also of base value like groupism and politics. He was always serious to the core about what he said and his seriousness was not without humour – even if occa­sionally a grim one. Well! I was one among the privileged few to whom he spoke freely. But he shied away from giving advice to me. And this is what I liked most in him. Just as I liked and read his writings, Panditji read and liked mine. After reading my autobiography, he began to give me more number of books, some sent for review in the journals he edited and some simply as additions to my personal library. He did so perhaps, to satisfy the bibliomaniac in me. I took it for a joke and laughed. The next time I met him I real­ized how foolish I was to take his words for a joke. The helmet-box of my scooter which carries half of the grocery items every month to my six-member family got stuffed with books, all fresh from the press. Books he had reviewed for In­dian and foreign periodicals, and a section of books he had received for favour of review in the journals he edited were passed on to me. Along with books came literary and spiritual journals. Folders with sheaves of top-­quality papers (on which I typewrite my poems and short stories and send by air to editors of foreign periodicals), pens of different makes and hues, carbon papers, packets of cor­rection paper, spools of typewriter rib­bon, bottles of correction fluid, all U.S.A. – or Canada-made, poured on me from his ever-giving hands. The Sheaffer (12 K gold electro­plated fountain-pen from U.S.A.) I use has the letters “M.P.P.” engraved on its tank. The papers on which the Sheaf­fer moves were given to me with love by Panditji. To cut the matter short, Panditji played the role of a mother to me and nourished the writer in me. Usually I met Panditji at his residence on the first Saturday of every month. And so on March 6, 1993, I pushed open the door of his bungalow. The hall clink-clanked. “Come in. Mr. Raja … But I am sorry you can’t meet Panditji today. He is unwell,” said Ms. Vasanti Rao, Panditji’s assistant. As I stood looking at her help­lessly, I heard Panditji speak to her in Kannada. “Wait! there is something for you”, she said to me and moved to­wards the adjacent roam. I craned my neck to have a glimpse of Panditji through the win­dow. I could see only his back. I never in the least sensed that That was the last look I would have of him. 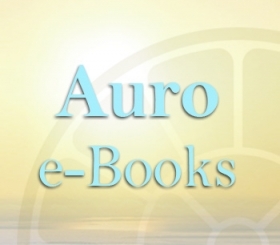 Unless otherwise mentioned, all titles given below are from DIPTI Publications, Sri Aurobindo Ashram. Pondicherry-605 002, India. The year of publication is included under the main entry for each book. Entries in brackets are of later editions.